Why Is Pilates On The Reformer Different? It’s quite simple: dynamic resistance and a moving surface. 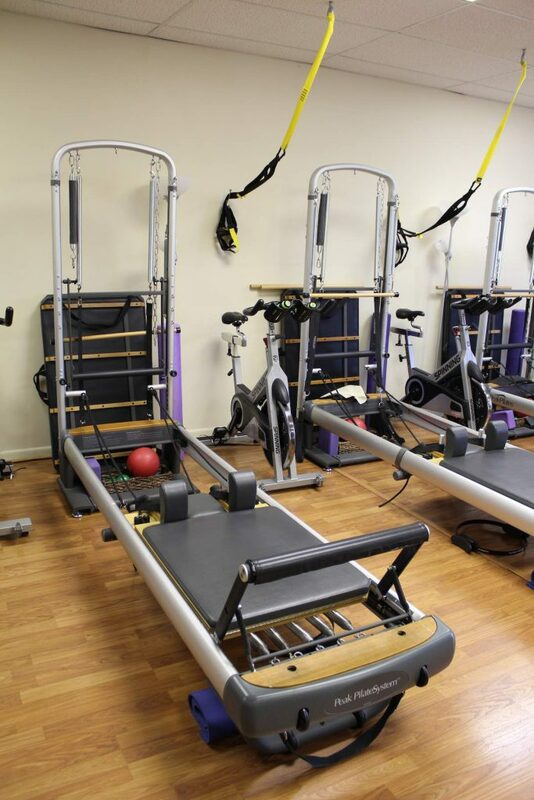 The springs that attach the sliding carriage to the reformer’s frame, which are added and subtracted throughout the session, make Pilates a whole new adventure. The resistance from the springs allows you to isolate specific muscle groups. The straps allow you to put your body into various positions to strengthen the different muscles of your body without “cheating” or compensating in other areas of the body to produce an effective and safe result. Non-impact, easy on the joints. Can be customized for everyone from rehab patients to elite athletes. Complements other methods of exercise. Improves balance, coordination & circulation. Increase core strength and stability. Founder And Owner Of iBeyond Pilates. Stability BARRE Certified Instructor, Merrithew™ Pilates. We Strictly Enforce the 12-Hour Cancellation Policy. Reservations are required for all group classes and subject to a 12 hour advance notice cancellation or you will be held responsible for payment in full. Advanced payment for classes is required. Group classes are not for those persons with acute physical problems. Private sessions are tailored for each individual and will address specific injuries and difficulties. No hard hair clips. Please use soft hair bands if needed. No lotions or oils on the body. If wearing socks, please wear socks with grippers on the bottom. No jewelry if possible. For your safety and the equipment. Phones are turned off or on mute. Talking to a minimum. No private conversations during class. If you are running late to class, please let us know so we don’t give away your spot to someone waiting. 2 person minimum in class (we have the option to cancel a class if only 1 person in class).